New item! Takes the hassle out of blocking off your trunk area from the interior. Required if mounting a battery or fuel cell in the trunk. 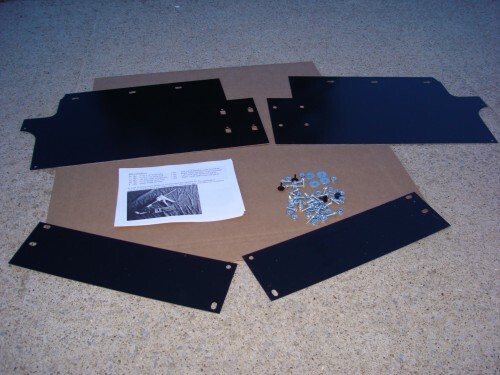 The kit includes all the fasteners needed for proper installation. The panels are .063 thick aluminum and are gloss black on one side. There are also panels to block off the speaker area as well. These fit all GM G-body cars from 78-88. Why make these yourself? We supply you with everything you need for an easy install!